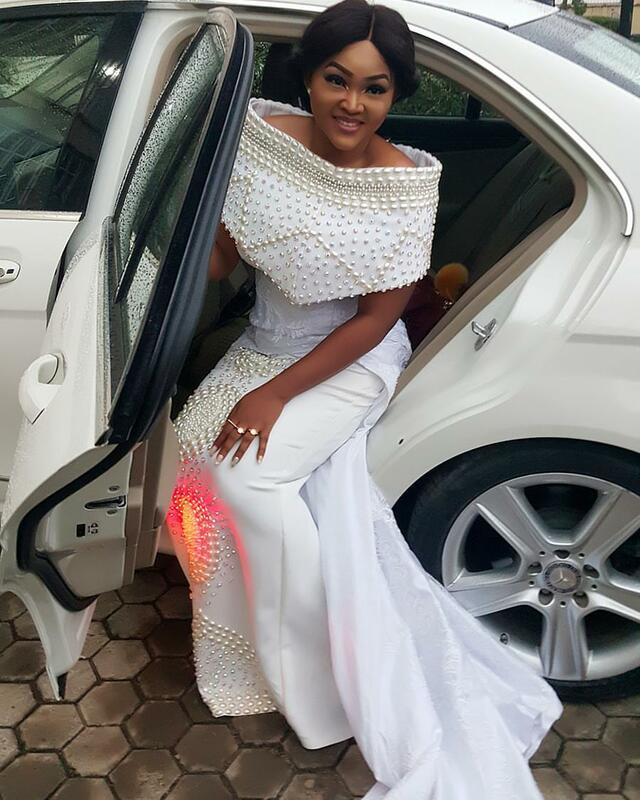 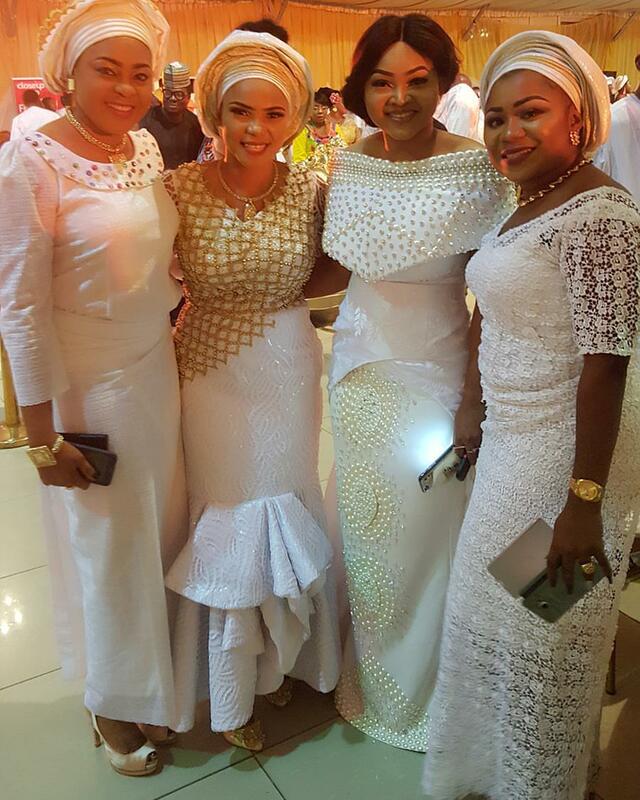 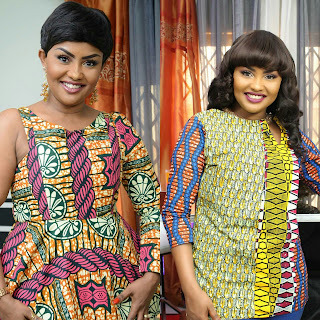 Mercy aigbe is at it again and this time she is wowing her fans in a stunning gown. she slays it like a queen most of the time. 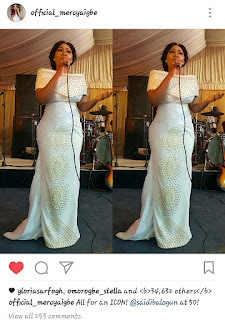 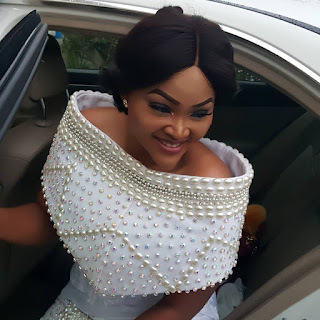 The actress who attended actor and director Saidi balogun's actor 50th birthday party shared pictures on instagram wearing a wedding gown, What was even more stunning about the gown was the sparks of the cristal stones. If you're still not sure of what we're talking about, take a look at this picture.